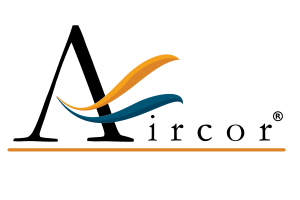 Specializing in residential and commercial air conditioner installation, Aircor Air Conditioning and Heating, Inc is dedicated to keeping our clients in Chicago, IL. No job is too big or small, and we deliver 100% customer satisfaction, monthly payment financing programs, air conditioning cooling replacement evaluation, and free quotes on new air conditioner replacement or new installation on every project. We offer a wide selection of air conditioner models at affordable prices. So, whether you need an air conditioner installation for a single unit or an entire office building, our highly trained and experienced technicians and HVAC pro advisers will provide the speedy, high-quality service you can always depend on with Aircor Air Conditioning and Heating, Inc.
A routine installation will only take about 6 to 10 hours and can be scheduled with your Aircor Air Conditioning and Heating comfort counselor. We at Aircor Air Conditioning and Heating will work with your schedule and make sure that your new Air Conditioner installation works for your busy schedule. We come prepared to service your home safely. For any installation, repair, replacement or upgrade we will use drop clothes and shoe covers to protect your carpet and wood floors. In addition, all and any debris we create while doing the job will be removed promptly. After an air conditioner replacement installation, has been scheduled, our expert technicians come prepared to service your home safely and efficiently. For any AC repair service or AC unit replacement, we take care to protect your home and its contents, and a thorough clean-up process finishes the project with 100% satisfaction guaranteed. After the installation is complete, we run a complete test of your system to ensure that each room is reaching the comfort level that you desire. We want to ensure that each room in your home is at the comfort level you desire. We will walk you through your new system, explaining proper maintenance and answering any questions you may have. We will continue to follow up in the coming weeks to make sure you’re still happy with the air conditioning system that we installed. When an Air Conditioner repair is not enough to get your cooling, system running back in a reliable condition. That’s when it’s time to think about an Air Conditioner replacement, a top of the line HVAC unit from one of our highly-rated manufacturers of air conditioning units. Now is the time to take advantage of our monthly payment options that will have you enjoying cool indoor temps with no worries when it comes to financing options for your new air conditioner. 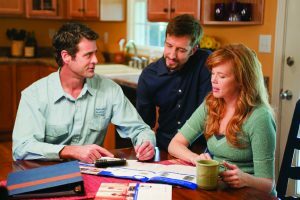 Whether it’s choosing between 60 months financing for the total cost of your new air conditioner and cooling system or opting instead for 18 months no interest on the purchase cost, we have the right financing options for everyone. a new, energy-efficient heating & cooling system with the comfort you deserve. 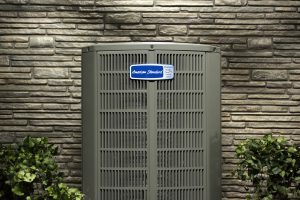 With Illinois summer temperatures averaging higher and higher every year, it’s important to understand the benefits of installing a new AC unit for your home or business. Here at our company, we help you make the best choice regarding your new Air Conditioner replacement unit and the options that will work best for you. Our goal is to ensure that you’re getting the best service based on your family’s needs as well as your budget. One of our trained experts will first come out to your home or business and measure your current system’s performance and then make recommendations based on their findings and your needs. This is a great time to get HVAC pro advise, as your air conditioning and cooling expert technician is there to answer all your questions. The scheduled appointment for your Air Conditioner replacement can be scheduled right then and there. Typically, AC unit installations will take only about 6 to 10 hours and we’re flexible enough to work around your schedule. Replacing your old heating and cooling equipment with new, energy-efficient models is a great start. But to make sure that you get the best performance, the new equipment must be properly installed. In fact, improper installation can reduce system efficiency by up to 30 percent—costing you more on your utility bills and possibly shortening the equipment’s life. Installing the right size equipment for the home is essential to getting the best performance and comfort. Many homeowners believe that bigger is always better when buying new heating and cooling equipment. In reality, a system that’s too large will not keep your home comfortable because of frequent ‘on/off’ cycling. Incorrect sizing can also put stress on system components and shorten the equipment’s life. To help ensure that your new system delivers the heated or cooled air to all the rooms of your home, our professional comfort advisers and installation technicians will evaluate your duct system to identify leaks, and then seal them using mastic, metal-backed tape, or an aerosol-based sealant. In some instances, your contractor may advise you that it is necessary to replace or add ducts. An incorrect refrigerant level can lower efficiency by 5 – 20 percent and can ultimately cause premature component failure, resulting in costly repairs. Our professional installation technicians will verify that the refrigerant level in the system is correct. If airflow in your heating and cooling system is too high or too low, you may experience comfort problems and higher utility bills. Our professional team will test air flow and make any needed adjustments for optimal performance. When purchasing heating and cooling equipment, choosing energy-efficient products is a step in the right direction. 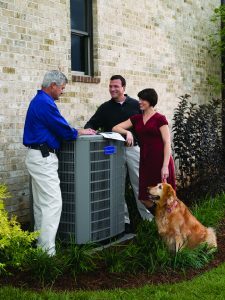 Aircor Air Conditioning and Heating, Inc., will make sure your equipment is properly sized and installed as we understand the importance of those elements to ensure that your new system performs at optimal efficiency. For your free air conditioning pro consultation, whether you need an AC repair or need a new High Efficiency Air Conditioner replacement cooling unit, call Aircor Air Conditioning and Heating today at (773) 800-1777. We are an American Standard Dealer.